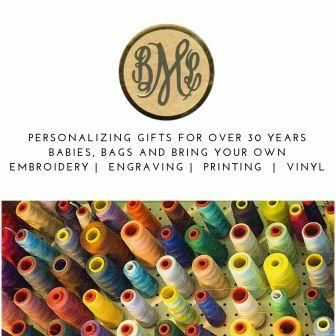 Bayberry Monograms is proud to offer Inscribe Envelope and Placecard Calligraphy addressing services. Inscribe is an automated system that uses a calligraphy tip and ink (just as a hand calligrapher would!). 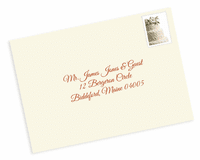 Cost for addressing services are as follows: Inner & Outer Enevelope $3.00 per set of envelopes, Outer Enevelope Only $2.00 per envelop and Placecards $1.00 per card (including name and table number). If interested in learning more about our addressing services please fill out the form above and our Inscribe specialist will contact you at your convenience. For non-local customers a shipping fee will also apply.